To enable cache memory, after OwnCloud is configured, add this line to owncloud config. Enjoy forwarding mail through the Google SMTP relay! Module from the directory can be deleted after installing the 10 version? What do you mean ? What module from what directory ? After the NAS restarts, the access to the files is closed. Tell me how to properly configure the folder? can you post a log file or a screenshot with the error ? 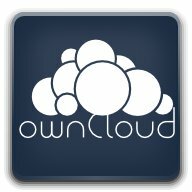 Can you post the content of owncloud.log file which is located on your data folder ?